John Caparulo is a funny dude. The guy’s been doing stand-up since 1997, and you’ve probably seen some of his stuff. 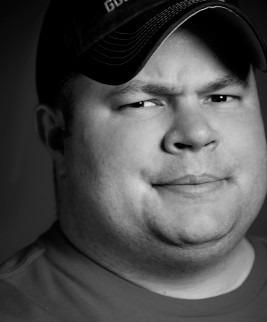 In 2008, Caparulo had his own half-hour special on Comedy Central – John Caparulo: Meet Cap. He was featured on Blue Collar Comedy Tour: The Next Generation, Vince Vaughn’s Wild West Comedy Tour and he’s a regular guest on the E! show Chelsea Lately. Caparulo is currently working with Edge Shave Gel to promote the Edge Anti-Irritation Zone, a site that offers comic relief for life’s annoying irritations. Edge Shave Gel recently conducted a survey of the 50 most irritated cities in America. The survey included 11 different irritation factors to measure irritating things like traffic congestion and heat index for different cities. The Edge Shave Zone is also running a comedy contest in conjunction with Funny or Die. Contest participants are asked to submit videos (90 seconds or less) that showcase a comedic look on different things that are irritating. The submissions can be in the form of a stand-up routine, sketch, animated short or just a crazy story. Whoever generates the most laughs will get a trip to Vegas (for you and three of your buddies). Here are the official rules of the contest. John Caparulo Interview – MANjr.com from Chris Stout on Vimeo. Print article This entry was posted by Chris Stout on August 6, 2010 at 4:16 pm, and is filed under Entertainment, Videos. Follow any responses to this post through RSS 2.0. Both comments and pings are currently closed.